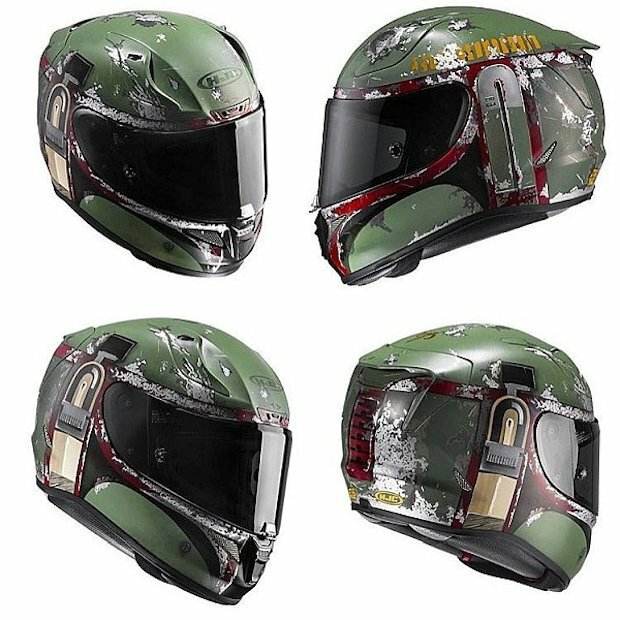 The folks over at HJC make some very cool motorcycle helmets, and now, they are offering a series of officially licensed Star Wars helmets. 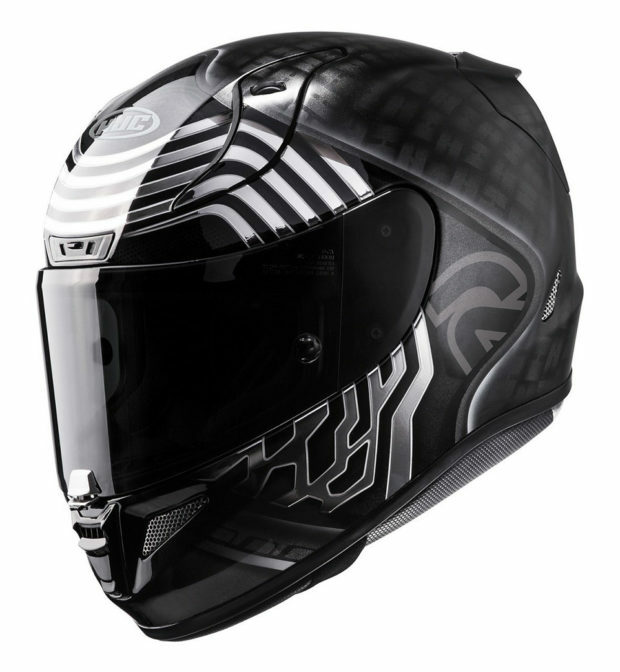 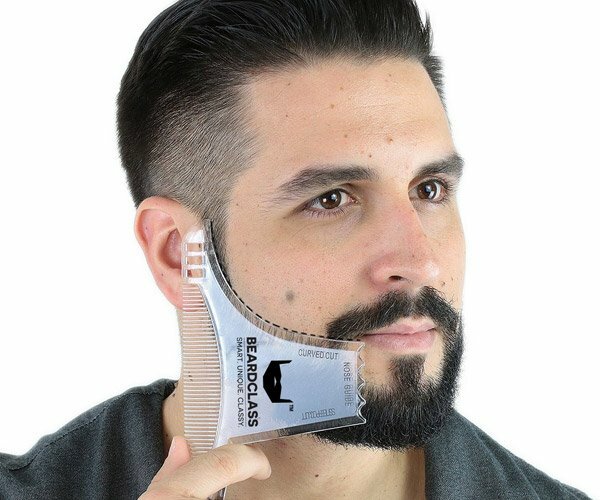 So now when you ride your motorcycle, you can pretend you are in a spaceship and really look the part. 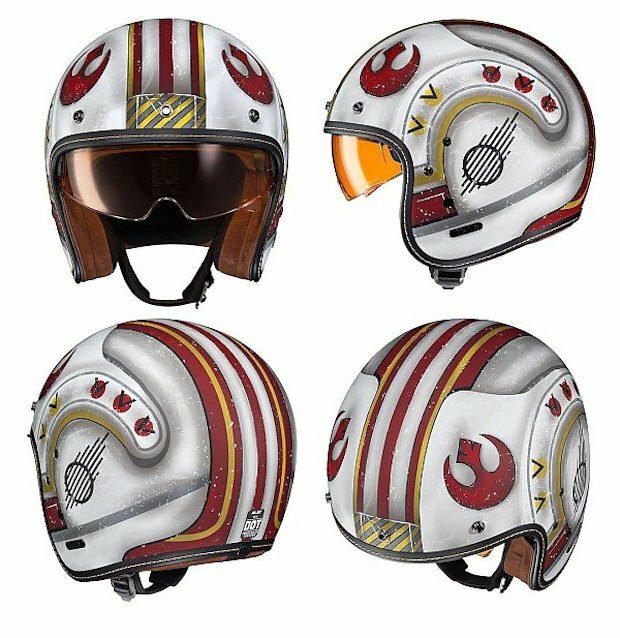 They are offering three new styles: An open-face X-Wing Pilot helmet, and full-face Boba Fett and Kylo Ren helmets. 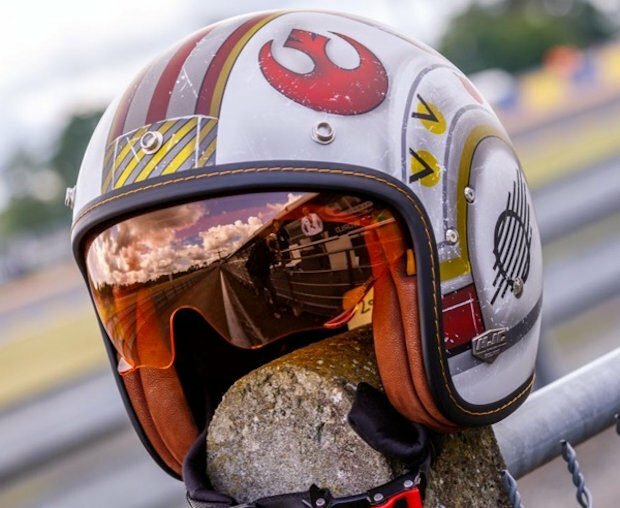 That X-Wing helmet looks damn good, but don’t be tempted to put some actual wings on your bike. That won’t end well, but I bet you can dock an Artoo unit behind you somewhere to help you navigate.